Rio Grande is one of the principal rivers (along with the Colorado River) in the southwest United States and northern Mexico. Rio Grande is one of the principal rivers (along with the Colorado River) in the southwest United States and northern Mexico. The Rio Grande begins in south-central Colorado in the United States and flows to the Gulf of Mexico. 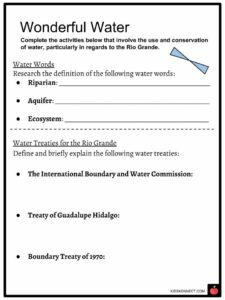 See the fact file below for more information on the Rio Grande or alternatively, you can download our 21-page Rio Grande worksheet pack to utilise within the classroom or home environment. The Rio Grande is the fifth longest river in North America (1,900 miles). It forms a border between Texas and Mexico. 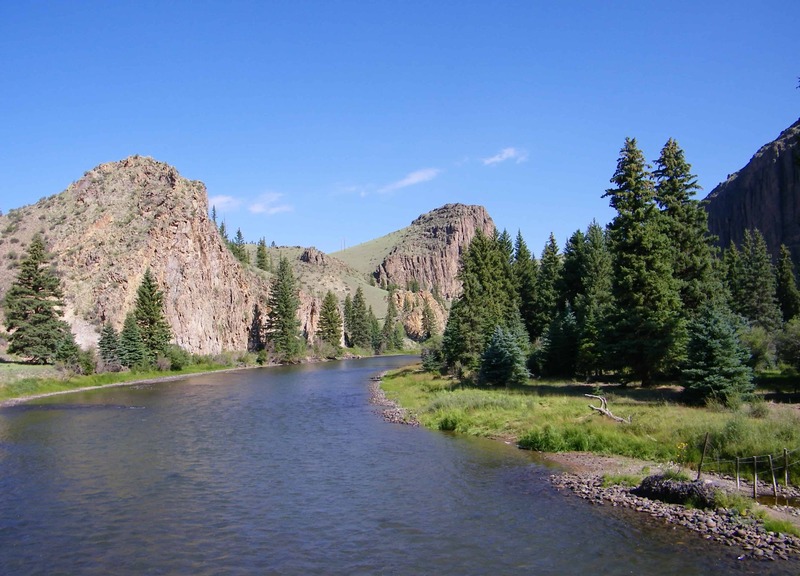 The Rio Grande begins in the Rocky Mountains and flows into the Gulf of Mexico in the south. The watershed of the Rio Grande is approximately 335,000 square miles. 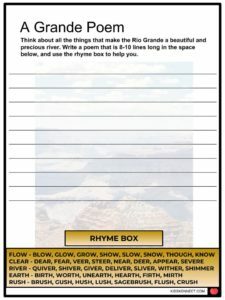 Other names for the Rio Grande have included Tewa (meaning “Big River”), Keresan (also meaning “Big River”), and Rio Bravo. 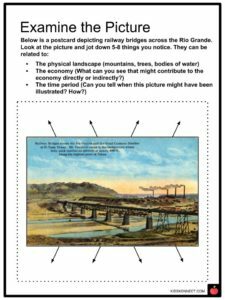 The Rio Grande was a major steamboat transportation route in the 1800s, helping to transport military personnel during the Mexican War. The Rio Grande has been listed as an endangered river for several years. In 2001, a sandbar formed along the river, preventing it from reaching the Gulf of Mexico. It happened again in 2002. Much of the land it flows through is drought-ridden land. The Rio Grande marked an area of disputed territory between Mexico and the United States (Texas). The squabbling over the boundary line came to a head and sparked the US Invasion of Mexico (also known as the Mexican-American War). 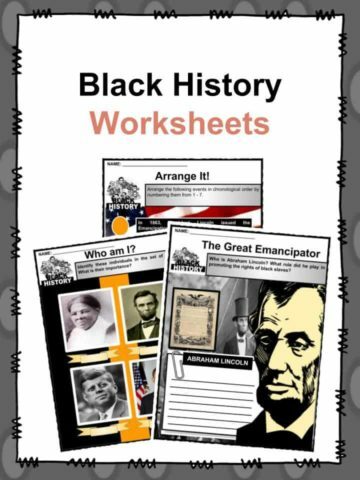 In the early 1800s, Mexico still considered Texas a part of its territory and hadn’t recognized the Republic of Texas, which had seceded about 10 years prior. Grande was its permanent physical border with the US. The cities of El Paso, Texas, and Ciudad Juarez, Chihuahua to the Gulf of Mexico are now officially the border between the two countries. In 1899, a channel was dug for flood control as a result of changing the river’s position in order to construct railway bridges and roads. In 1997, the US designated the Rio Grande as an American Heritage River, which was acknowledged by Mexico. Increases in population between the US and Mexico prompted the creation of treaties surrounding the water, which concerned shared use of the waters and the hydroelectricity it produces. The Rio Grande provides water for just over 2 million acres of cropland. Crops grown with help from the Rio Grande include potatoes, alfalfa, cotton, pecans, grapes, citrus fruits, and Vegetables. 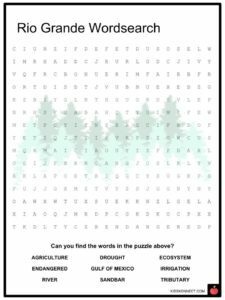 The land is also used for animal agriculture and mining. The land is also used recreationally. 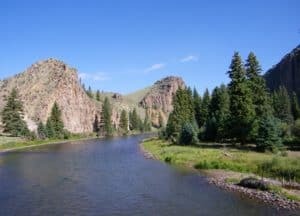 The Rio Grande is a culmination of the joining of several small streams in the Rocky Mountains in Colorado. From that point, it flows southeast and south for about 175 miles through Colorado and across New Mexico. From there it flows through Texas and the Mexican states of Chihuahua, Coahuila, Nuevo Leon, and Tamaulipas until finally draining into the Gulf of Mexico. 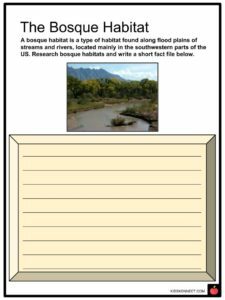 The Rio Grande rises in the Rocky Mountains and for much of its length it flows at a high elevation point. 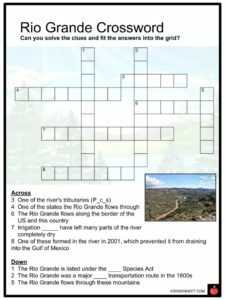 The Rio Grande’s main tributaries are the Pecos, Devils, Chama, and Puerco rivers located in the US, as well as the Concos, Salado, and San Juan located in Mexico. Peak flow in the higher regions of the river occur in May or June when the snow begins to melt. Geographically, the Rio Grande is a vulnerable river due to its location among drought-prone land, as well as dams and irrigation diversions, which have left many parts of the river completely dry. Water supply in the river has been declining for years. Habitat restoration projects were initiated by leasing irrigation water along the riverbanks. It is estimated that 95% of the river’s average annual flow goes towards municipal and agricultural use. Diversion in the river has changed the water’s flow so much that only approximately 20% of the water actually reaches the Gulf of Mexico. The Rio Grande is listed under the Endangered Species Act, and has been for many years now. 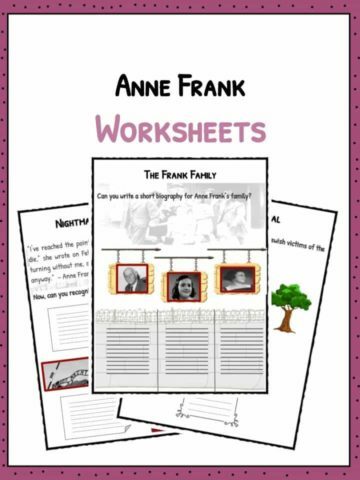 This is a fantastic bundle which includes everything you need to know about Rio Grande across 21 in-depth pages. 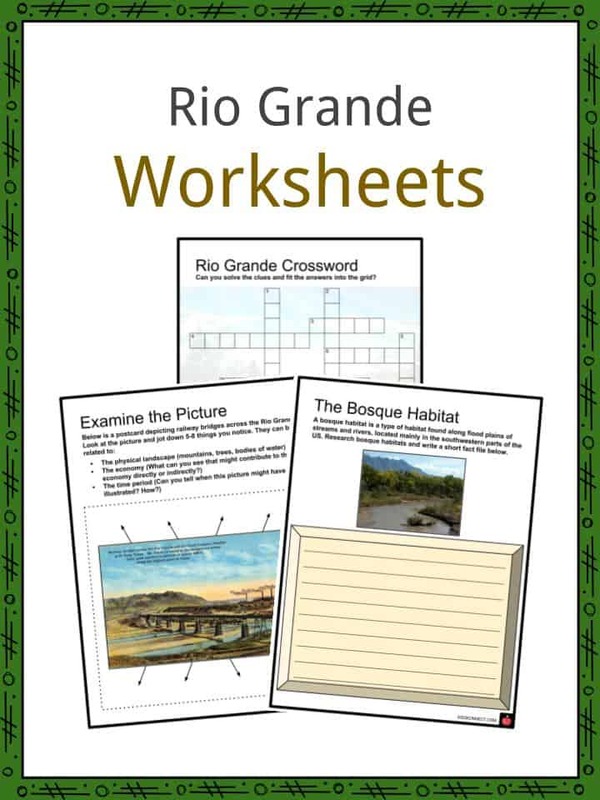 These are ready-to-use Rio Grande worksheets that are perfect for teaching students about the Rio Grande which is one of the principal rivers (along with the Colorado River) in the southwest United States and northern Mexico. The Rio Grande begins in south-central Colorado in the United States and flows to the Gulf of Mexico.